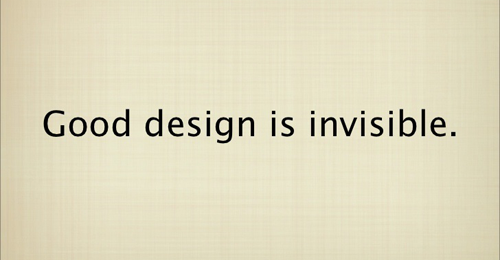 Design is visual, there's no argument there. However being visible doesn’t mean that the user should be privy to all the tools and techniques you decide to employ. Much of invisible design in about creating stuff that just ‘works’ or ‘clicks’ or ‘feels right.’ It makes users want to interact and engage, and they can’t put a finger on why.